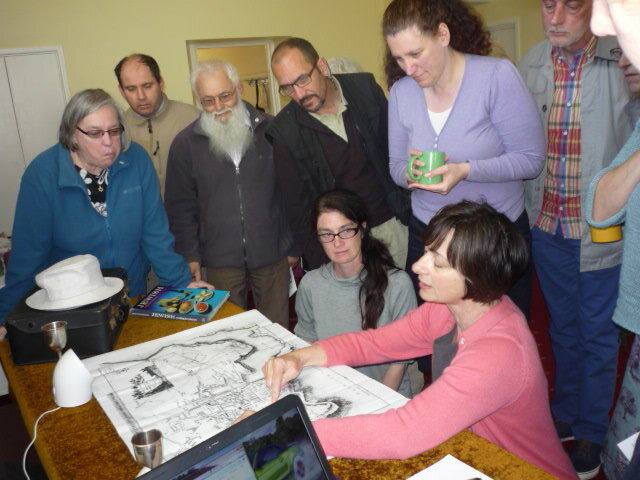 Showing the first coffee morners the 1820 map of Plymouth, that showed a potential town square where the Synagogue would have had a prominent visible position – unlike today. 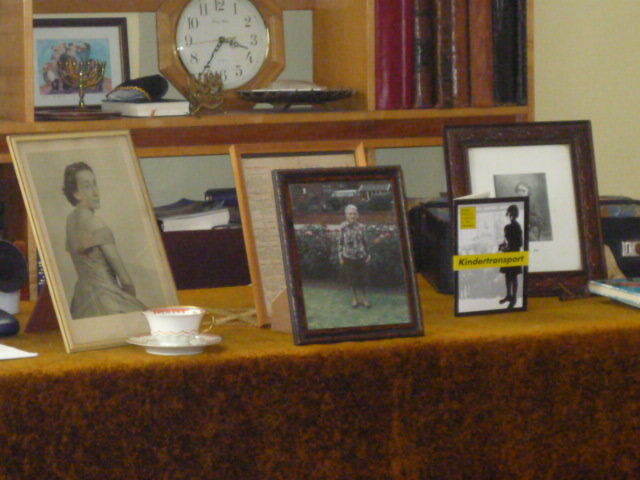 Family photographs and ephemera that fuel my interest in my identity and ancestry. 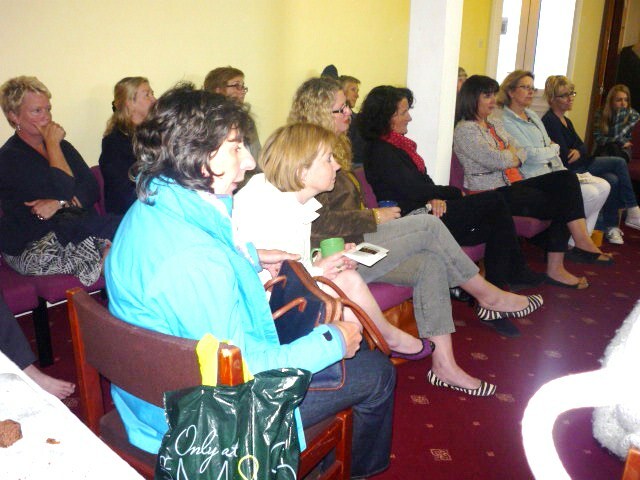 The second coffee morners listening to Vera’s stories. Thanks to Anna Kelly, secretary of the Plymouth Synagogue for the photographs. 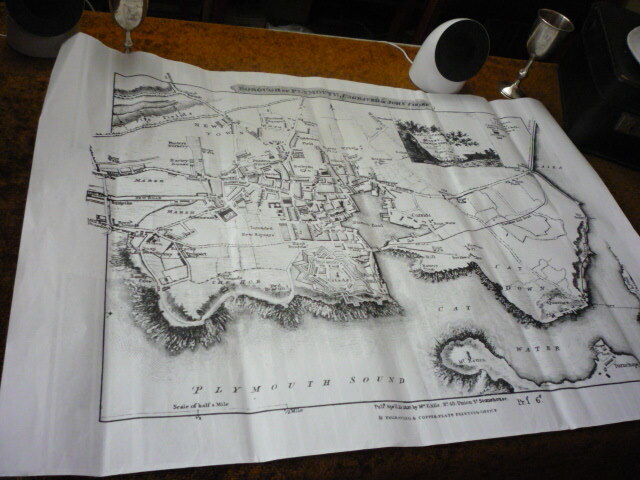 This entry was posted in Hidden CIty, Performances, Plymouth's Synagogue, Research and tagged 1820 map of Plymouth on May 23, 2013 by Ruth.